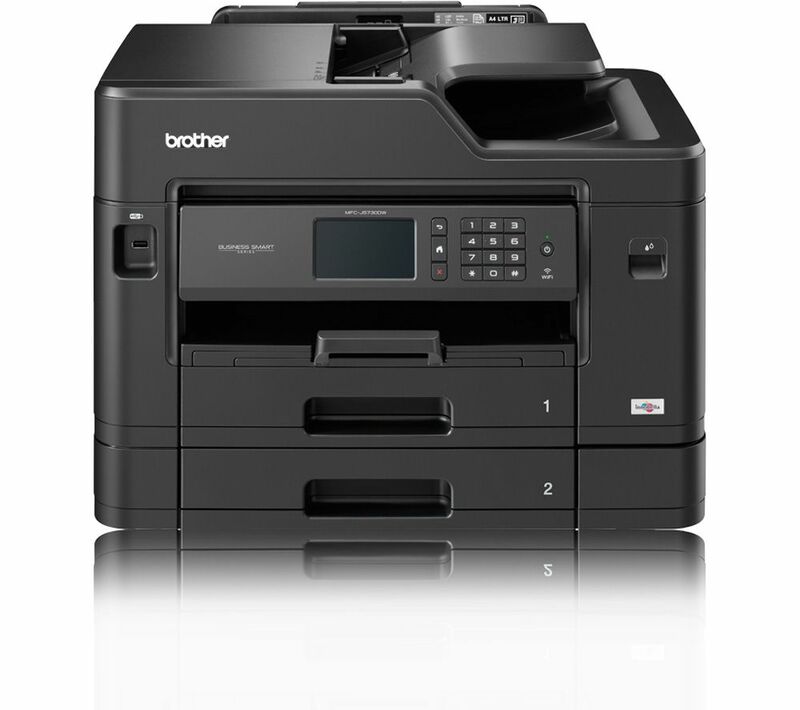 Ideal for creative projects, the Brother MFCJ5730DW All-in-One Wireless Inkjet Printer with Fax offers a huge range of functionality – even in A3. And with automatic duplex, you can scan, print and copy documents faster than ever. To save on ink and reduce any wastage, the Brother A3 Inkjet Printer uses individual ink cartridges so that you only replace the colours you need. And with high-yield cartridges available, you don't have to replace the cartridges as often. Print straight from your smartphone or tablet with built-in WiFi, which lets you print using Apple AirPrint, Google Cloud Print or the Brother app. And for cabled connections, there's the option of USB and Ethernet so that you can easily connect to your PC or laptop. Able to print up to 35 pages per minute in monochrome and 27 in colour, the MFCJ5730DW is able to get the first page out in just six seconds – so you can get through your printing jobs faster. And using the LCD touchscreen, you can easily select tasks and control your printing.